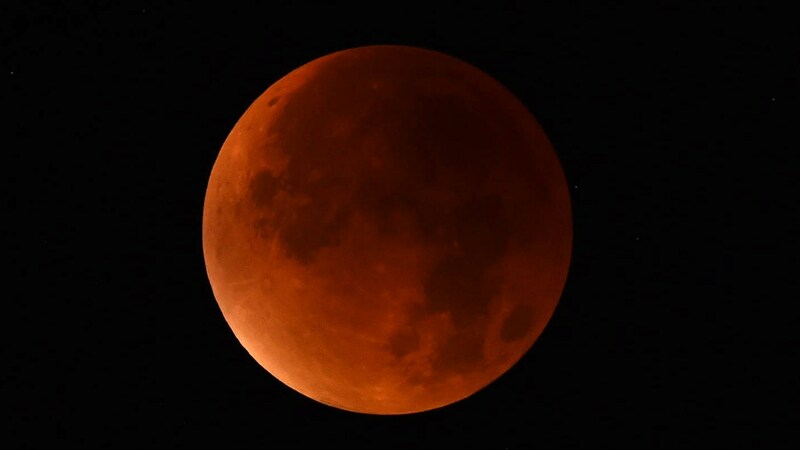 North and South America will get the best view of the super "blood moon", as it's known, but Europeans and Africans will also be able to watch (weather permitting). So, let's break down the hype, starting with the eclipse. 11:41 p.m. ET will mark the totality of the eclipse, as the moon is fully shaded by Earth. That's where the "blood" comes in. There's no violence involved, instead, the term comes from a reddening of moon, as light leaks around the edge of Earth. As NASA explains, Earth casts a red shadow because of how our atmosphere scatters light. During our days, sunlight coming in from up high is scattered. Short blue light waves are bounced around, leaving us with blue skies. But when the sun comes in at an angle – at sunset, sunrise or from the perspective of the moon on the other side of Earth – the sun's reddish light becomes dominant. That light can also change based on dust, pollutants or other particles in Earth's atmosphere. So what about the "super" part of Sunday's show in the sky? The moon's orbit around Earth is not perfectly round, so as it circles Earth it is sometimes closer and sometimes farther away, by a distance of about 26,000 miles. That mean that when the moon is at its closest point to Earth – known as the perigee – it can appear up to 17 percent larger than it does at the farthest point in its orbit. Sunday's eclipse will almost coincide with that perigee, meaning that the moon won't just be redder than usual, it will also look a tiny bit wider. It won't take any special equipment to see the total eclipse — no telescopes or dark glasses required. The main impediment to experiencing the relatively rare phenomenon: Weather.